The Vincent has launched a new menu as the restaurant continues its 2018 momentum by enhancing its culinary offer. The Exchange Flags eatery, which has been a hit with foodies since opening its doors in 2015, has unveiled a variety of dishes to its menu. Inspired by European and international influences, the venue has combined tapas and Japanese options, with some of the city’s finest Sushi. Regulars won’t be disappointed as four additional maki and temaki platters are available on the new menu. Bigger plates added to the menu include a roast loin of vension, braised red cabbage with port wine sauce. Guests can choose also choose a succulent Teriyaki glazed beef short rib, which is served with shumeji mushrooms. There is also room on the menu for exotic diners with the offer of lobster and crayfish risotto, which comes with wilted greens in a rich shellfish sauce. The restaurant has also included a stand alone vegan and veggie menu. Diners can now choose from chicory and orange tartlet, pear and dressed rocket salad or a wild mushroom ravioli served with rocket and parmesan. There’s also a guilt-free tandoori curry which comes with vegetables, fragrant rice and the choice of a poppadum, and vegan-friendly desert treats which include apple tart, dairy free vanilla ice cream, passionfruit cheesecake, as well as a selection of sorbets. 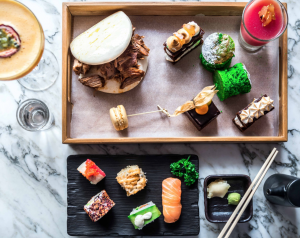 There is also an Asian Afternoon tea choice on the new menu. 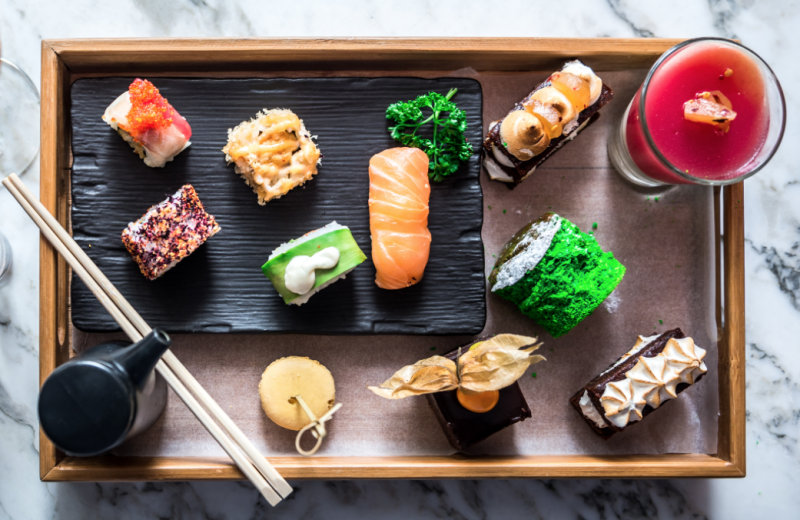 The afternoon tea ‘with a twist’ includes a cocktail of choice, pot of fresh mint tea and a selection of Asian sweet and savoury treats. The high-end diner has also recruited a new team of top chefs and new management as they set sights on their strongest year since launching. Bosses believe the new menu will help The Vincent continue to be a first choice destination for food lovers.